What would brokers do without the Big 6 banks? Think about that. Banks, directly or indirectly, fund more than three out of four broker deals. That’s why it was so frustrating to read (a minority of) brokers slamming MCAP last week for its new collaboration with BMO. That alliance allows MCAP and RMG brokers to cross-sell BMO banking products. The alleged “crime,” according to a few vocal critics, is that BMO is going to steal brokers’ customers at renewal. Perhaps we should put this in perspective for a moment. Every single Canadian non-deposit-taking prime broker lender relies on banks to buy or fund its mortgages. MCAP is no different. It depends on bank funders, including BMO. And brokers depend on bank funders (although many don’t realize it). But banks have other things they can do with their capital. They don’t have to fund their competition. CIBC proved that when it shuttered what was once the biggest broker lender in Canada. That’s why brokers need to make ourselves as attractive a distribution channel to banks as we humanly can. And we don’t want to sound ungrateful in the process because, trust me, big bank executives are listening. Without bank funding we die…an unceremonious drawn-out death. Of course, we have a lot to offer. Collectively, brokers are a formidable sales channel with 55% penetration among first-time buyers. We deliver high-quality low-arrears business to banks, and provide them an efficient variable cost method of broadening their mortgage reach. Unfortunately, in the era of margin compression and relentless online competition, that may not be enough. We need to deliver more to prevent CIBC-like exits. One way to do that is by helping our bank partners broaden their share of consumers’ wallets. In aggregate, non-mortgage products can easily be more profitable to banks than the first term of a mortgage. And that’s exactly the intent behind this MCAP and RMG promotion. If BMO can sell broker-originated clients two to three more products, it entrenches BMO in our channel. The more profitable our referrals become to the bank, the better terms that lenders like MCAP can get, and the more competitive brokers become (vis-à-vis the sales armadas of the Big 6). Now, skeptical brokers will claim we’re dealing with the devil—that banks will steal our mortgage clients at renewal if they get control of customers’ chequing accounts. But how many of those complaining brokers deal with Scotia and TD (who also cross-sell our clients)? I’ll bet all of them. Canadians have to bank somewhere. And all banks have the capability to tell when a chequing customer has a mortgage elsewhere, and then market to that customer. But in this case, we doubt MCAP would’ve made this deal had it felt BMO would go out of its way to methodically poach its customers on renewal. That wouldn’t make sense. Moreover, MCAP’s funding partners are in the business of buying assets (mortgages), and they can’t do that by alienating their lender correspondents. When banks like BMO fund broker mortgages through monolines, they know that doing so helps brokers take the bank’s clients. But they do it anyway. So who are we to refuse to do business with bank-funded lenders for that very same reason? If MCAP or RMG have the best mortgage for a client’s needs, it would be all too self-serving to make the consumer pay more elsewhere, just so we (as brokers) didn’t have to worry about solicitation of our clients. Doing so would be a contemptibly narrow outlook, especially if the partnership is a win-win-win model. In this case, brokers are making hundreds of dollars for each banking referral, customers are getting a cost-effective banking package (and an iPad…yay) and BMO enjoys greater market penetration. Expect more of these cross-sale partnerships going forward, not less. Little is more unproductive in our business than short-sighted protectionist mindsets. Let’s spend more time strategizing on how we can deliver superior value to consumers and keep top of mind. That way, folks come back to us regardless of who markets to them at maturity. And while we’re at it, let’s make ourselves just as appealing to the ultimate sources of the products we sell: the banks. Because we need them. 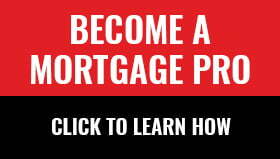 Next ArticleIs the Bank of Canada signalling that more mortgage rule changes are coming? What brokers really need is more competition in the Canadian market place. How to accomplish this? Bring down some of the protective barriers to entry to the Canadian market. Ideally, freer access to Canadian markets for institutions like JP Morgan and Wells Fargo should be permitted by OSFI. Margins on Canadian mortgages are rich compared to in other markets, especially given the rich cross-sell opportunities available to banks originating mortgage business. Canadian overpay billions in interest each year as a result.. Prudential concerns could certainly be met, while dismantling barriers to Canadian market access for well capitalized foreign players. I can only hope that when Americans are re-negotiating NAFTA, they make sure to pry open access to the Canadian banking market. Perhaps that will finally have a well deserved tonic effect for Canadian consumers. Banks have been gaming their customers for far too long as a result of the very limited competition in the Canadian market place. Wells Fargo was here before. There’s no reason it can’t come back. It doesn’t lend here because the market is saturated with limited upside. Why fight the big boys for a tiny slice of a small market? If you put Wells Fargo up against RBC, TD and the oligopoly in the A-space then other things equal, Canadians will choose who they know best. P.S. How do you gather that spreads are rich at 150 bps over the 5 year bond? Bravo Rob, good to have you back for an important post. Wake up Mortgage Brokers!! If you want things to be the way they were 10 years ago when mortgage brokerage business was running hot better start the search for the Hot Tub Time Machine because we are in the new world now. Margins are skinny, regulators are drawing a bulls eye on our Channel and we must open our minds to new ways of doing business. Imagine the MCAP bosses pushing a bank to offer a great promotion so a broker could MAKE EXTRA MONEY and wow their clients with a great promo gift and then some brokers respond with “Screw that!! the branch will steal my deal” Okay let’s hold on for a second, are these all the same brokers who keep saying their business is bullet proof because they are so much, smarter, quicker, more knowledgeable and better trained than the branch people? Yup, same folks. Rob is so right, the brokerage channel must open up their minds to many new ways of working with and supporting the people who are supporting us. Brokers need to stop talking out of both sides of their mouths, talking about the how the banks must be avoided at all costs when the numbers will show that in this quarter brokers will every third application directly to a bank.